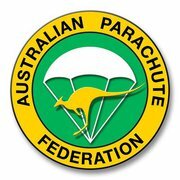 Just got word that Brad from Australia received his Free Fly Crest! Achieving this enables the jumper to participate in jumps with more than three people. Check out the video below! This entry was posted in AXIS Flight School, Freefly, Skydiving, Videos by niklasdaniel. Bookmark the permalink.